Police in Gulu is holding a local Councillor and his two sons who were arrested after they were found in possession of 15 kilograms of pangolin scales and 8 tortoises. The three, it is suspected were selling the wildlife products. Demand for wild life products most notably pangolin scales are said to be on the rise in Asia, most especially China were it is used for medicine and ornaments. The arrested were Kenneth Ojok a councilor LC3 of Agonga Parish, his two sons Denis Charles Omony, a fish farmer and Justine Chandia, a Boda- Boda rider. All are residents of Akonyibedo village. The suspects were arrested by the Police flying squad with help from the Natural Resource Conservation Network (NRCN), an organisation fighting illegal wildlife trafficking. According to Mr Joshua Poro, the NRCN Media Officer, the suspects were in possession of tortoise and pangolin scales. “The suspects came along with 15 kilograms of pangolin scales to the would-be buyers and 8 tortoises respectively. Upon reaching an agreement, the buyer was to pay Shs 200,000 per kilogram for the Pangolin scales and Shs60, 000 shillings per tortoise,” Mr Poro said in a statement released on Tuesday. The suspected wild life traffickers are being detained at the Gulu Central Police Station. The Head of Legal and Prosecution at NRCN, Mr Leonard Massa said the suspects will be charged with unlawful possession and sales of wildlife body parts and wildlife species contrary to Sections 30 and 75 (b) of the Uganda Wildlife Act CAP 200. Gulu District Police Commander Mr Martin Okoyo said breeding tortoises without a license from UWA is illegal. 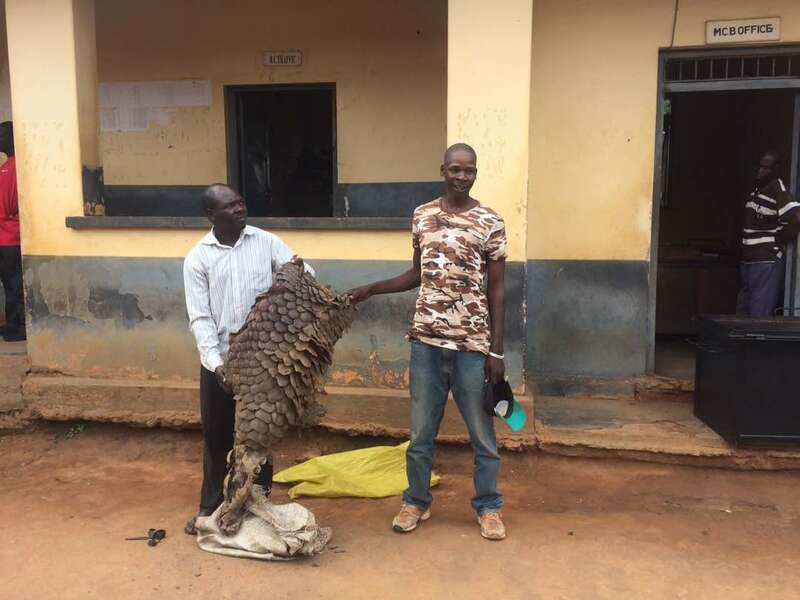 The arrest comes just a month after Police in Abim District in April arrested three men in possession of a live pangolin and 10.1kgs of pangolin scales estimated to be worth Shs 6 million in the black market. In the same month, the police flying squad along with the NCRN raided Smiling Panda night club on Princes Road in Gulu Town over illegal possession of tortoises.